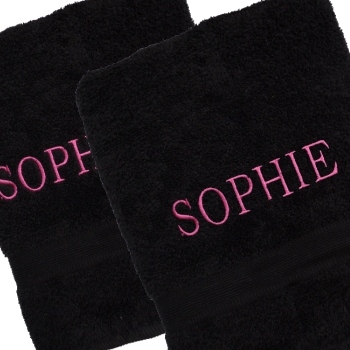 Personalised with your choice of embroidered text names or initials monogrammed on each. Personalised with your choice of embroidered text names or initials monogrammed on each. Your choice of embroidery font style and thread colour.